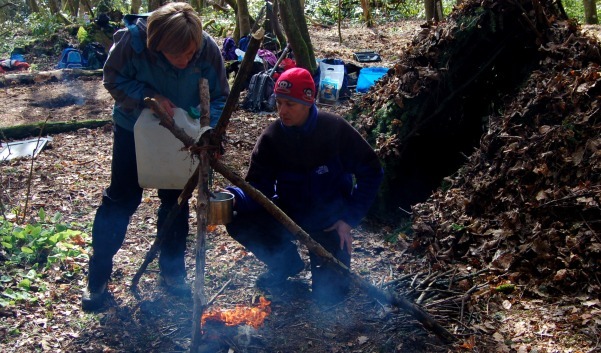 Experience Forest School and bushcraft projects. Working together develops stronger relationships in families. Instinctively Wild runs inspiring programmes that help people of all ages and from all walks of life to learn about themselves and others through being outdoors. Step away from the desk! We run active away days for up to 20 people at a time, specially designed for your organisation. From festival workshops to our ever-popular holiday activity weeks. We have a proven track record in working with the NHS, local authorities and national charities to provide eco-therapy, Forest Schools and employability training. We provide volunteers with accredited professional training and practical skills development, including Forest Schools and bushcraft. Thank you to The Two Moronnies for their generous donation. With the support of the Life Changes Trust and Big Lottery Fund, we continue to run our Borders projects for those living with dementia.